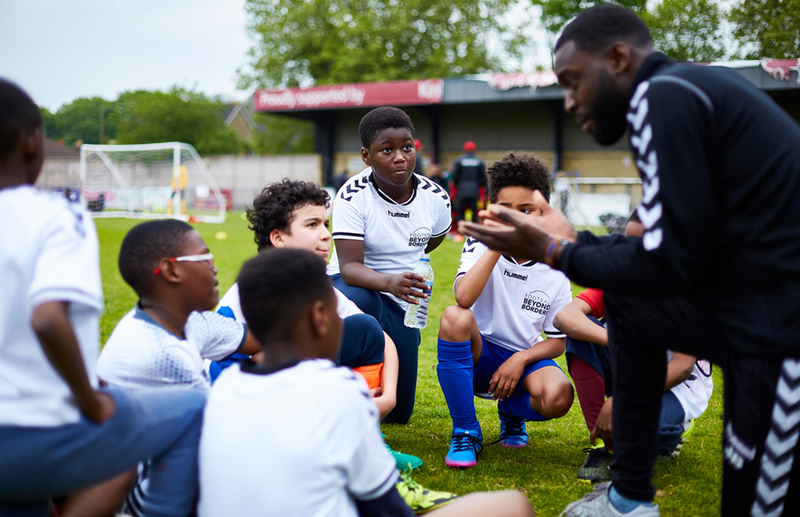 This Sunday saw Football Beyond Borders stage the FBB Community Cup, hosted at Dulwich Hamlet’s ground in Champion Hill, south London, to raise funds and awareness of FBB’s potent mix of football and youth work. The day, which saw a youth tournament, a corporate tournament (in which Pickles FC made a competitive debut), a women’s showcase, and men’s showcase, raised £6000 for the charity, which works with young people to harness the power of football to effect positive change. Pickles FC, who share a kit sponsor with FBB in the ever-supportive Hummel, were privileged to take part in the corporate tournament, narrowly missing out on a semi-final place losing 1-0 to the eventual runners-up Sports Interactive, who make Football Manager. But we had a brilliant time, playing some good football in front of an engaged and vocal crowd, with some ad-hoc commentary coming from Tom in the stands. As Tom says, football can break down barriers and drive positive social action. Events like the FBB Community Cup are a reminder of that, a superb day for everyone involved, and Pickles were proud to have taken part.